The opening between the grab bar and seat bottom of the stroller can allow an infant's body to pass through when a child is not harnessed and become entrapped at the neck by the grab bar. This poses a strangulation hazard to young children. This recall involves about 800 Tike Tech Single City X3 and X3 Sport strollers. 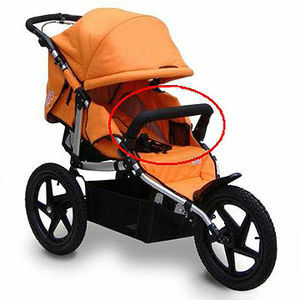 "Tike Tech" is printed on the footrest and on the back of the stroller on the left and right sides. The ID codes are located on the interior left side frame. The following ID codes are included in this recall: TT-18-01, TT-18-02, TT-18-03, TT-18-04, TT-18-05, TT-18-06, and TT-18-07. The grab bar is optional and can be removed from the stroller. Juvenile product stores nationwide and Web sites, including amazon.com, from October 2009 through February 2010. Strollers sold for about $300.